A backpack or shoulder bag: By far the simplest and evidently most common means that many people use to cart their basic stuff with them (e.g. lunch, jacket, phone and notes for work/study). Most people already have these bags and they have the advantage of being easily transportable away from your bike. The biggest problem is usually the “sweat factor” on the back of your top; heavy loads can also be a struggle for your back. A basket or front saddle bag: An increasingly popular option I’m noticing around town is to have a big basket off the front of your handlebars. Alternatively it could be a small saddle bag attached in the same place (I have one of these), or a similar bag attached to the top tube of your bike. A big advantage of these options is that things are within easy reach of you while you are riding. They’re often somewhat limited in how much you can carry in them though. Pannier bags: A popular workhorse for many regular cycle commuters, pannier (or saddle) bags are attached to your rear rack (NB: make sure your panniers and rack are compatible) and allow you to carry larger amounts of stuff, e.g. a laptop, worknotes, and weather gear to work/study, or a small load of groceries. 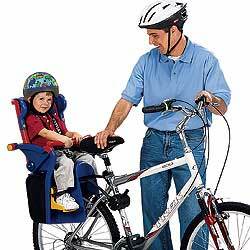 Many have handy shoulder straps for carrying them away from your bike. Two panniers also increase the width of the rear platform on which to attach other bags on top (e.g. I used to put my cricket gear bag on the back and bike to games). Bike trailer: Now we’re starting to get more serious. 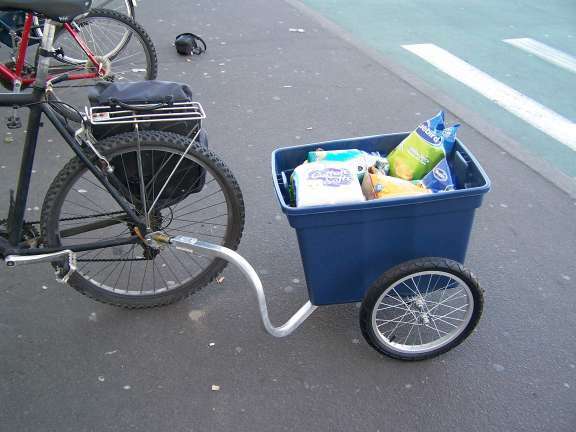 Hook a trailer to the back of your bike and your carrying capacity can increase considerably. They come in all different sizes and layouts, from a box style to a flat platform for carrying bulkier stuff. As well as buying one, local expert Steve Muir can also help you make your own one. 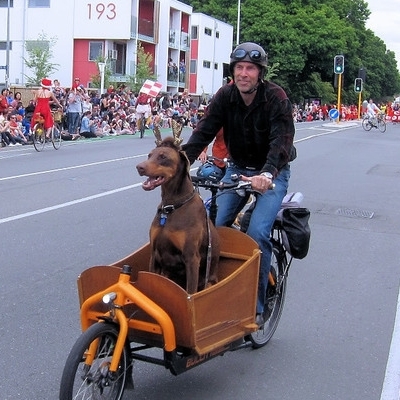 Cargo bike: The other way to significantly expand your carrying capacity is to get a purpose built cargo bike. There are a number of variations in terms of the cargo “box” size; many of them also come with electric motors to help move heavy loads. 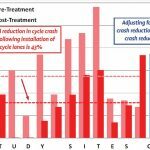 For an increasing number of people, getting a cargo bike is basically a substitute for replacing their car. 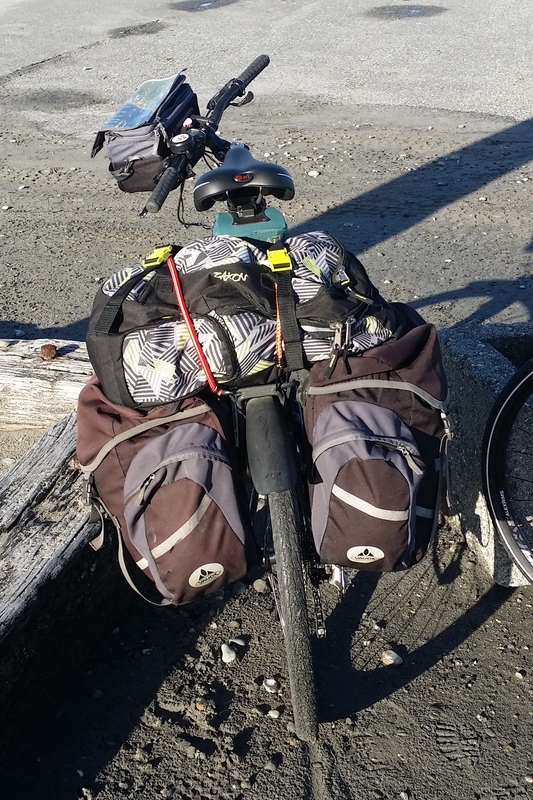 Any bag with handles will easily hang off the end of your handlebars (I’ve often grabbed a few quick groceries this way). A bit awkward if you’re travelling too far and it’s swinging around your legs or is quite heavy though. A little bag that attaches under your seat to the post is a useful way to carry a few little bits and pieces such as tools and a snack. 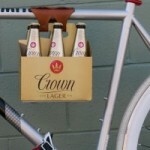 What are your suggestions for carrying stuff on bikes? Unoccupied child seats are perfect for carrying gear. I always just chuck my bag/shopping/takeaways into the child seat and away I go. And actually even when it is occupied I can still fit a bit of stuff on Ben’s lap. I used to commute in London over 6 miles each way with an early 11Kg Compaq luggable in my back pack. 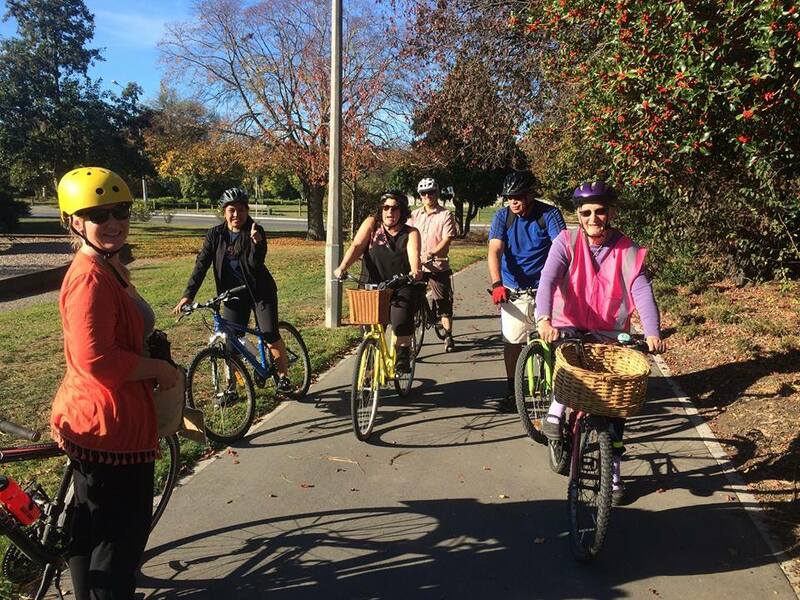 I only went over the handle bars once…. No lasting damage! What about if you need to travel with kids? 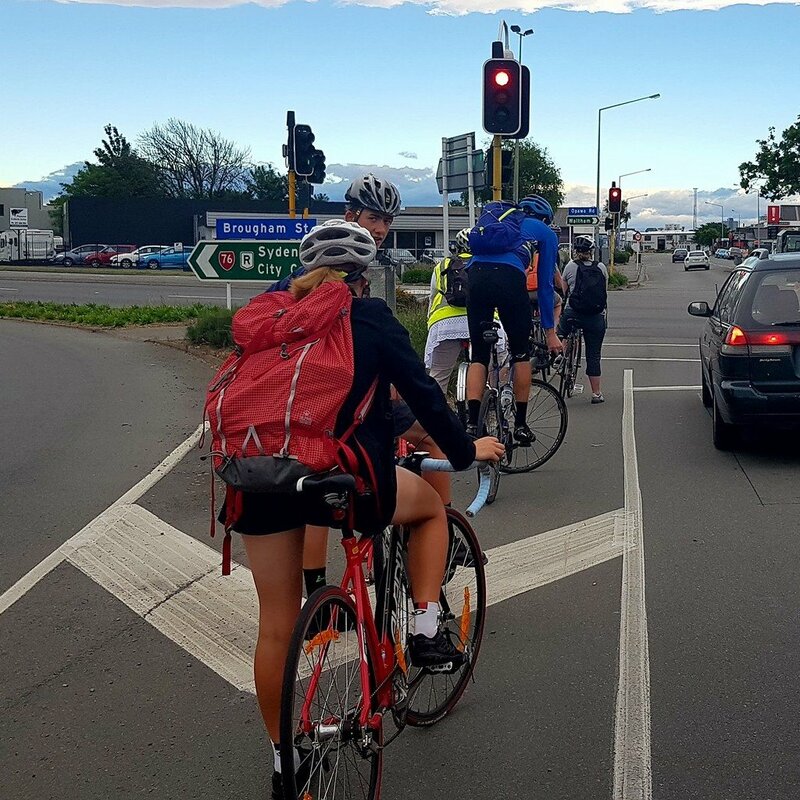 – a bike of their own? A friend of mine cycles with her kids fairly frequently. They’re 7 & 8 and can manage a 20km round trip (with a stop at the library halfway to recharge a bit!) 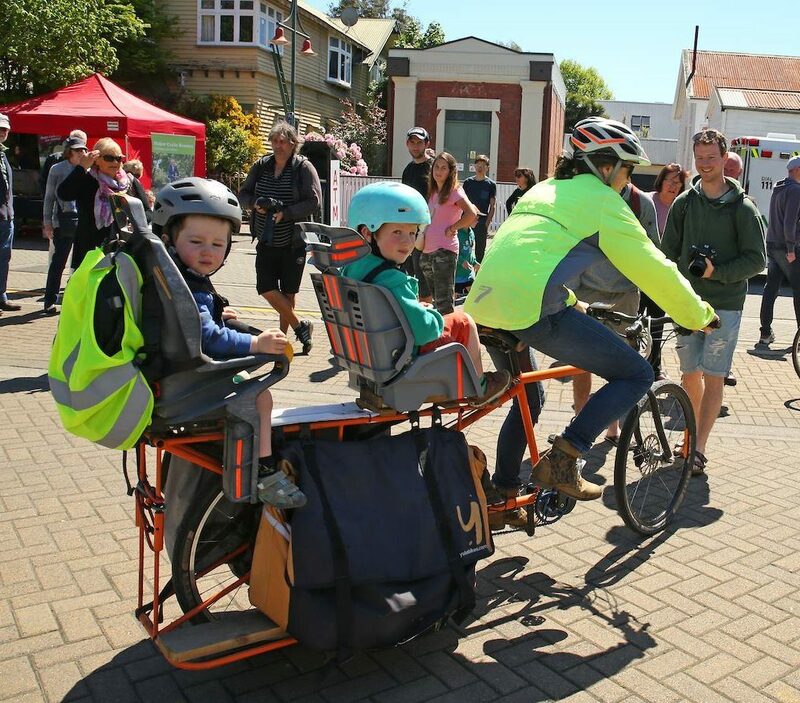 Other options like childseats, cargo bikes, tow bikes & trailers could be investigated to see what would fit in your lifestyle & budget. Fridges should ideally be moved upright, but laying them down works too. You have to watch out for damage to the exposed coils out the back, that the door may not be flat and if it is the handle will poke out, and to leave them standing up for at least a day before plugging them into power. Some fridges have an evaporation tray on the motor which can fall off, and some have glass shelves that are just sitting under their own weight. Power cords should be wound up and tied on so they don’t drag. Riding: Crosswinds are no fun with a big tall load, and neither are sudden stops. Minor slopes like driveways and railway crossings can be a sudden adrenaline rush, as are potholes. Even road intersections can have enough up/down slope to be exciting. If you’re on a hill, strongly consider your options. Sudden braking – normally skilled riders use their front brake most. When towing a big weight, you want to use your rear brake more. Brake like normal and its possible for the load to lift your rear wheel clear off the ground and jackknife you. I’ve had this happen once and its scary. 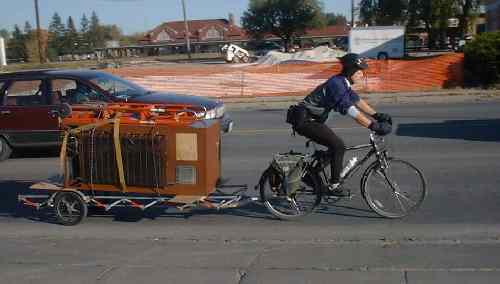 at least two large fridges have been successfully transported by bike trailers in Christchurch. I also built a trailer with a large old fridge on it side & motor removed as a large insulated box for iced drinks at biking events.